Guest post by Dr Mark Diesendorf, Institute of Environmental Studies, UNSW. Click here for a printable 6-page PDF version of this response. This is a personal response to Lang’s (2012) article critiquing the peer-reviewed paper Elliston, Diesendorf and MacGill (2011) ‘Simulations of scenarios with 100% renewable electricity in the Australian National Electricity Market’, referred to hereinafter as EDM (2011). I appreciate the large amount of work that Lang has done in attempting to assess our work. However, I think his critique is premature, because he has misunderstood the intent of our work, which was clearly identified as exploratory. It is the first of a series of planned papers that will pick up on some of the issues that he has raised (and others) and step by step prepare the ground for an economic analysis. Several other questions that he raises are simply repetitions of questions that we have already raised and in some cases answered in EDM (2011). Lang appears to be confused and mistaken in some key issues, such as the reliability of generation, where his conclusions are incorrect and potentially misleading. Lang misunderstands and hence misrepresents our result that, in its baseline scenario, supply does not meet demand on six hours per year. He draws an incorrect conclusion from this result to claim that ‘renewable energy cannot realistically provide 100% of Australia’s electricity generation’. However, he overlooks the fact, clearly stated in the abstract, the main body and the conclusion of EDM (2011), that all our scenarios meet the same reliability criterion as the existing polluting energy system supplying the National Electricity Market (NEM), namely a maximum energy generation shortfall of 0.002%. This criterion inevitably means that any energy supply system, including the existing fossil-based system, is likely to fail to meet demand on at least several hours per year. This is simply realistic, because no electricity supply system has 100% reliability. To achieve this ideal would require an infinite amount of back-up and hence an infinite cost. For this reason, electricity supply systems have reliability criteria such as Loss-of-Load-Probability (LOLP, the average number of hours per year that supply fails to meet demand) or energy shortfall. The NEM uses the latter. Since Lang refers to LOLP later in his article, he presumably partly understands this fundamental principle of electricity supply, yet somehow forgets this when critiquing the principal conclusion of our paper. His oversight invalidates his conclusion. Hence our conclusion stands: namely that, subject to the conditions of the model, a 100% renewable electricity system is technically feasible for the NEM based on commercially available technologies. Lang’s belief that we must add 20% reserve plant margin is also based on misunderstanding and confusion. The generating capacity of our baseline renewable energy system is 84.9 gigawatts (GW) and the maximum demand on the NEM in the year we simulated, 2010, was 33.65 GW at 3 pm on 11 January. Our baseline renewable energy mix met this demand with several GW of gas turbines in reserve. Applying the conventional definition would give us a reserve plant margin of 150%. Clearly the conventional concept of reserve plant margin needs rethinking when there is a very large percentage of renewable energy supply. However, Lang’s notion that we would need 33 GW capacity of gas turbine capacity to become ‘reliable’ is inappropriate, because it would give our renewable energy supply system a greater reliability than the existing fossil fuelled system The key parameter is the reliability of the whole supply-demand system, whether measured by LOLP or energy shortfall, not the reliability of individual technologies or the amount of reserve plant. Of course, a more detailed model would have to take account of network failures; regional variations in supply, demand and transmission capacity; and extreme weather events. These are expected to entail adjustments to the supply mix and a variety of demand-side measures. EDM (2011 and 2012 submitted) show that we can reduce the baseline gas turbine capacity of 24 GW in the renewable energy mix, while maintaining the reliability of the generating systems, in several different ways. These include either increasing the CST generating capacity while keeping the solar multiple fixed (the approach of Wright & Hearps (2010)); or increasing the solar multiple while keeping the CST capacity fixed; or reducing the winter peak demand by various measures. Lang claims incorrectly that “Gas turbines running on biofuels are not a proven, commercially viable electricity generation technology at the scale required (IEA, 2007)”. Putting aside his phrase ‘at the scale required’, which I’ll return to shortly, it should be noted that his IEA reference is five years old and does not support his assertion. It is a 4-page pamphlet, which does not discuss biofuelled open-cycle gas turbines, the technology used in our paper. Open-cycle gas turbines are a commercial technology, proven for several decades. They are used both as peaking plants in electricity supply systems and as jet engines on aircraft. If you fly on some overseas airlines today, the jet engines of your aircraft may be fuelled partially or totally on biofuels. Gas turbines can be fuelled on oil, natural gas, bio-ethanol, biodiesel, etc., with little or no modification, although for some fuels a modified fuel preparation system may be required. However, it’s actually easier to burn biofuels in gas turbines on the ground, because one doesn’t have the problem of keeping the fuel temperature high. EDM’s scenarios assume conventional aero-derivative gas turbines burning the above biofuels. Small modifications to gas turbines are required to burn syngas (a mixture of hydrogen and carbon monoxide that can be produced from fossil fuels or biomass) and such flexible fuel turbines are commercially available from GE and other manufacturers. So, if syngas derived from biomass were to become one of the future biofuels, there seems to be no good reason why the turbines in mass production would be significantly more expensive than unmodified gas turbines. An alternative option to gas turbines is conventional gas and diesel gen sets, which have increasingly impressive efficiency and low capital costs (eg. $800/kW for a 50MW plant in SA that can connect to grid and start in 2 minutes). Lang’s phrase ‘at the scale required’ could be applied unfairly to all the commercially available technologies in our 100% renewable electricity scenario. If we assume that the transition to 100% would occur over several decades, there would be no unsurmountable problem in scaling up the technologies, including gas turbines. Hence, the term ‘at the scale required’ is irrelevant. All the new renewable energy technologies used in our models can be scaled up very quickly, because they can be readily mass-manufactured and the installation on sites is straightforward. For instance, China doubled its wind capacity each year for five consecutive years commencing 2005. Global solar PV capacity has increased at about 40% per year over the past decade. For comparison, nuclear power stations are a much slower technology to scale up, because they are gigantic construction projects and much of the work is site dependent. The biomass fuel would be derived mostly from the residues of existing crops and plantation forests. Hence the land required would not compete significantly with food production or native forests. During a non-drought year it is estimated that around 30% of Australia’s electricity could be supplied from biomass residues (Diesendorf 2007, chapter 7). To allow for drought, our baseline scenario generates about 14% and other scenarios discussed in EDM (2011 and 2012 submitted) generate less than that. Lang’s comments on the constraints on water releases are pertinent and will be taken into account in our future work. However, hydro plays a minor role in EDM’s current scenarios and his constraints are unlikely to change our principal results. More generally, there appears to be no good reason for assuming that the present operational strategy for hydro, or indeed for the whole electricity grid, would be optimal for a 100% renewable system. Hence some of the sensitivity analyses in our ongoing simulations are designed to explore different operational strategies. The capacity factor for CST of 60% is not a direct assumption of the model, but instead is determined by the choice of solar multiple and locations. A check of the performance of Australia’s existing wind farms shows that an average capacity factor of 30% is about right. Some have higher values and others lower. Although demand reductions play a minor role in the first EDM paper, the authors see no good reason for excluding them from the system. They are recognised as having huge potential by the IEA and in European Union energy policy. They play a more significant role in EDM’s forthcoming second paper. Many energy researchers, including the present writer, consider demand reductions to be ‘negawatts’, a well-known term in sustainable energy. These reductions can be achieved from energy efficiency, solar air conditioning, solar hot water and by off-loading certain energy users for a few hours during periods of high demand and/or low supply. Indeed, occasionally off-loading aluminium smelters for periods up to two hours is current practice, helping to avoid blackouts in existing electricity supply systems when supply fails to meet demand. EDM’s first two papers have the ‘copperplate’ assumption and hence are not designed as a basis for doing the economics of 100% renewable electricity. If all goes to plan, our third simulation paper will begin the complex task of examining transmission requirements. After that a preliminary examination of the economics could be justified. Simulation modelling must first be done with the ‘copperplate’ assumption removed. Lang has not done this. His calculations are indeed ‘crude’, as he admits, and full of dubious assumptions, so there is no need to spend time and space commenting on them in detail here. However, it must be mentioned that Lang’s assumption, that the capital cost of open-cycle gas turbines is $5,051/kW, is too high by a factor of over six. These are the same gas turbines as currently used with fossil fuels. EPRI (2010, Table 7.15), a study cited by Lang, gives a capital cost of $801/kW sent out. Lang’s huge error greatly inflates his cost estimates of the renewable energy scenarios. Also, since the EDM model assumes a dramatic scale-up of the numbers of each of the renewable energy technologies, over a long time frame, it is inappropriate to use their current prices. There is no doubt that all biofuels (except landfill gas) are more expensive than current world prices for fossil gas. However, with peak oil already reached (according to the IEA), and natural gas and coal seam methane being the principal potential substitutes for oil in transportation and petrochemicals, the long-term price trajectory for gas is likely to be up and up. Carbon prices may also become more widespread and much higher in the long-term. Meanwhile the prices of biofuels are likely to decline with scale of production. So it’s unclear whether gas will still be cheaper than biofuels in (say) 2030. ‘Simulations of scenarios with 100% renewable electricity in the Australian National Electricity Market’ is the first in a series of planned papers that are step by step removing simplifying assumptions on the simulation modelling of 100% renewable electricity. The first paper removes several of the assumptions made in the ground-breaking work by Wright & Hearps (2010). The second paper, currently being peer-reviewed for an international scholarly journal, offers a much more detailed sensitivity analysis than the first. The third, for which research is in progress, will commence the examination the effects of transmission constraints. The fourth is planned to be a preliminary exploration of the economics. Meanwhile, other papers are being published on the analysis of Australia’s solar and wind data. It is hoped that each paper will answer more of the questions that Lang and other readers may ask. The conclusion of Lang’s critique, that our first paper shows that “renewable energy cannot realistically provide 100% of Australia’s electricity generation”, is incorrect and potentially misleading. The error seems to be based on a misunderstanding of the fundamentals of the reliability of electricity supply. No electricity supply system can be 100% reliable. Our 100% renewable electricity systems have been designed to meet the same reliability criterion as the existing polluting system. Our simulation modelling shows that a 100% renewable electricity system is technically feasible for the National Electricity Market based on commercially available technologies. It also shows that there is no need for base-load power stations. As acknowledged in our paper, the modelling needs further refinement, notably the removal of the ‘copperplate’ assumption and inclusion of a greater diversity of wind farm sites. However, these two particular refinements, taken together, will offset each other to some extent, and so they are unlikely to change our principal qualitative result. Other refinements, such as consideration of network failure and extreme weather events, must be considered in relation to the detailed geographic distribution of renewable energy supply and demand, and of demand management operations. Lang’s comments on hydro constraints are pertinent and will be addressed in future research. However, since existing hydro plays a minor role in our current scenarios, the hydro constraints are unlikely to affect the principal qualitative result, although they may have a small quantitative impact. Most of Lang’s other objections and comments are minor. At this stage it is premature to attempt an economic analysis. When this is eventually done, realistic assumptions must be made about future prices of renewable energy technologies in large-scale mass production, gas turbines and their fuels, and future carbon prices. Lang’s economic estimates are tied to current prices, apart from an overestimate of the capital cost of gas turbines by a factor of over six. Hence his cost figures are gross over-estimates. Diesendorf M (2007) Greenhouse Solutions with Sustainable Energy. Sydney: UNSW Press. Lang P (2012) ‘Renewable electricity for Australia – the cost’. https://bravenewclimate.com/2012/02, accessed 23-2-2012. If it’s premature to establish good costing for the renewables scenario, then surely it is also premature to be making plans to run the country off such. Kudos Barry for opening your forum to all sides of a debate – a courtesy rarely offered by many who are opposed to a certain technology or point of view. Before I even read the post, a very big “well done” to Mark for engaging and responding to a critic. He has elevated himself again in comparison to those at BZE who never saw fit to respond. I look forward to a good read now. I second the comment by Decarbonsise SA. Excellent, what a refreshing attitude, unlike the likes of Mathew Wright et al. This brings on a proper debate,as it should be, and I look forward to this. Publish all views and discuss same. Likewise, Dr. Diesendorf’s willingness to engage critics and criticise fellow renewables advocates has improved my opinion of him considerably. Australia, a whole continent under one national government, low population density, and large desert areas is the country best suited for solar energy. It may be possible to “plant” solar harvesting towers in the areas not covered by trees, farming, mining, roads/airfields or life forms. Another big investment required may be storage of solar heat in molten salts for night/ cloudy times. Nuclear power may cost less capital and may be used as interim arrangement for a century or so. For instance, China doubled its wind capacity each year for five consecutive years commencing 2005. Global solar PV capacity has increased at about 40% per year over the past decade. For comparison, nuclear power stations are a much slower technology to scale up, because they are gigantic construction projects and much of the work is site dependent. Even a lay person such as myself can see through this one. Has Mark *really* not heard of nukes going modular and being put on the assembly line, in a factory, where the conditions are the same rain, hail, or shine? Then the modular parts are trucked to the construction site and clipped together like so much large lego. Let alone the fact that nukes are, what, 10% of the concrete and steel required by a renewable grid? I was interested in Mark’s replies to Peter until this point where he lost me. If *any* technology can solve climate change and peak oil the fastest, it is the clean baseload power provided by nuclear. Lastly, Mark sells renewables as having a history of rising predictably each year. But it’s from such a tiny fraction of world energy! But just watching a trend line for a few years is entertaining, but so is daydreaming about how much money I’d have if my bank account doubled every year for the next 10 years. It doesn’t mean it is going to happen! “Unreliables” will one day show their true cost as the technical limitations of non-baseload power finally show up. The coal plants will not be shut down if we go in this direction; not unless there is a *miraculous* breakthrough in the cost of energy storage. If that happened, I’d be all for a renewable grid. Wouldn’t we all? However, let’s get real here. Renewables would have to double 8 times and suddenly invent miraculously cheap energy storage along the way. On the other hand, nukes only have to double 3 times because it starts from such a strong base, 14% of the grid. And they provide enormous gigawatts of reliable, baseload power. All day and night. Any weather. And are in cyclone proof concrete bunkers. That sounds like a sane energy policy in a world of increasingly bizarre weather events! PS: (That’s 14% of the *world* energy grid I was quoting there, obviously not the Australian grid). In the recent La Nina weather of Sydney for the last 2 years, my solar hot water hardly seems to do much. Maybe we should have got the heat-pump version? People need to be sold those as ‘solar-air’ hot water heaters to recognise that the heat pump is just getting solar energy from another source. Exactly, the same in Brisbane.I have a small 1.5 kw(Output really1.2 kw in ideal conditions) and Solar Hot Water. In the last year , there have been days and weeks in a row without real output.The reality is we live on the coast.There are lots of clouds, imagine that. Aparently in Melbourne where Mathew Wright lives, rain and clouds never occur. A max generation shortfall of 0.002% is 0.1752 full-load hours per year. Which is quite good, though not as good as my grid, which last year had under 0.1 full load hour shortfall for me at least, which is typical (a few minutes outage per year). Such reliability is made possible by using lots of natural gas. Lang’s belief that we must add 20% reserve plant margin is also based on misunderstanding and confusion. The generating capacity of our baseline renewable energy system is 84.9 gigawatts (GW) and the maximum demand on the NEM in the year we simulated, 2010, was 33.65 GW at 3 pm on 11 January. Our baseline renewable energy mix met this demand with several GW of gas turbines in reserve. Applying the conventional definition would give us a reserve plant margin of 150%. Clearly the conventional concept of reserve plant margin needs rethinking when there is a very large percentage of renewable energy supply. Actually the opposite becomes the problem: you have to dump (or curtail) excess production of wind and solar as their percentage goes up. The result is lower and lower capacity factors for said solar and wind, with more of them on the grid. Running a wind turbine at half the capacity factor more than doubles the cost per kWh. The simple truth is you cannot power countries with energy sources that can’t be turned on when needed and are only there a minority of the time. What we see here is a growing electricity demand with a renewables push. It doesn’t work, of course; Spain ended up adding 2 kWh of natural gas electricity for every kWh of wind&solar electricity. Denmark gets almost all of its power from fossil fuels, burning trash, and strip-mining the soil ecosystem gobbling biofuels. Almost half hydro, almost half nuclear. Problem almost solved. I’ll join the crowd and commend Barry for having a real give and take ‘dueling’ papers on renewables and Australia’s energy future. It goes to show that, contrary to what some claim, BNC’s *primary* perspective is climate change activism and not just nuclear energy. Well done. And, Mark’s response is excellent, well written and well reasoned. I would echo Cyril’s comments about grid balancing and the fact that ‘costs’, always the crux of the problems, not only goes up per KW because of the huge overbuild, but goes up as capacity factor drops…and this occurs during high generation periods to minimum load conditions into the evening and at night. The key point, not addressed at least in Mark’s rebuttal to Jack L. is that on demand base load power…that is, what any Sys Ops needs to keep the grid at proper speed, is ‘availability’. Without the grid collapses. I’m afraid even with the huge overbuild in Mark, et al’s paper (and honest approach, BTW), such availability goes away, no matter how you configure your renewable generation. Biofuels. Here is Mark is correct. GTs, open AND closed (and you want to build closed as they over 50% efficient) can run on any liquid fuel bar none. They can even run them on gasoline! In Saudi Arabia they run in raw unrefined crude oil. So it’s a totally mature technology at every level and what Mark says about them is true. I’d have to go back and re-read what Jack noted besides the extract Mark provided above to be sure he was off base. I will the “decades long” build up is something that applies to every tech. And nuclear tech, which could provide 100% of the generation for Australia in less than 2 decades quite easily, seems to me to be the better choice at many levels. But that’s for later commentary! Germany has switched off 6 nukes and now we have German Angst that our deep freezer will melt one day. Yes, the openness for all views is one of the many virtues of this site. That said, you can’t help noticing that Diesendorf goes into typical greeny mode when it gets difficult. So on bio-fuels we have a long preachy screed on the possibilities of burning them in turbines, which should be superfluous in view of the audience. The aim is presumably to distract from the 64k$ question:- catching the hare, i.e. where do you get your biofuel and what are the ramifications? 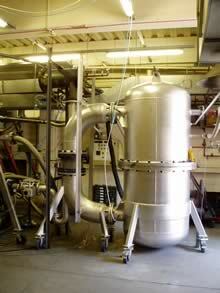 Here we have a picture of a dustbin sized pilot plant, and an apologetic little paragraph at the end with a bit of hand-waving to reassure us it will be alright on the night. If he wants to be taken seriously we need real life scenarios of where this stuff it coming from: I’ve never seen it realistically argued that turnip-tops and stubble are viable at the scale needed. All the new renewable energy technologies used in our models can be scaled up very quickly, because they can be readily mass-manufactured and the installation on sites is straightforward. For instance, China doubled its wind capacity each year for five consecutive years commencing 2005. Global solar PV capacity has increased at about 40% per year over the past decade. Percent talk – penny wise pound foolish. If I have 1 cent, and double my wealth every year for 5 years, I have 16 cents. I will still starve because I can’t afford a loaf of bread. Not to mention paying for my house. China may have fast wind growth, it has way more coal growth. Wham, that brings us back to reality. Where’s that wonderful exponential wind growth in China? I’ve got a good pair of eyes, but I can barely see the flimsy line. Whereas the coal (purple) explosion can be noticed from a mile off. Time to see the forest for the trees. Wham! Back to reality again. Talk about exponential renewables growth all you want – omitting the fact that fossil based electricity has tripled over the past 4 decades is dangerously misleading. This isn’t even about Australia anymore, it’s about all of the world’s nations growing rapidly, including in energy demand. Reliability? I can tell you, reliably, that you will have no solar output tonight. I can tell you, reliably, that periods of no wind for days occur many times a year. I can tell you, with great reliability, that energy storage costs an arm and a leg. This isn’t about 100% reliability, this is about making electricity when there’s no sun and wind. Which is done with burning natural gas, oops a fossil fuel and fugitive methane is a greenhouse gas. There is nothing misleading about saying that you can’t power your country with wind turbines and solar panels – to quote a famous Australian politican – “it’s a pity that you can’t, but you can’t”. This isn’t about the cost of a natural gas turbine so much as it is about using that natural gas turbine too much. A simple look at real time wind and solar data, with sufficient resolution and at the same time long time series as you haven’t done, you’ll quickly reach this conclusion. A simple empircal excercise such as I’ve done here is also good, to keep a level head. posted 28 February 2012 at 6:37 AM by Cyril R.
France’s nuclear transition took about 10 years (1977-1987). Before that they had very little and it barely grew, then it grew rapidly to displace coal and oil despite a fast growing economy (energy demand) and they only had to continue building at a more modest rate to keep that newly found nuclear status quo. It takes a long time to build a nuclear plant, certainly. It takes forever to transition to energy sources that are not there most of the time and can’t be turned on when needed. posted 28 February 2012 at 6:48 AM by Cyril R.
The claim that biofuels may be cheaper than fossil fuels in decades to come is questionable. Currently fossil energy like diesel and coal fired electricity completely underpin the various biomass sidestreams that enable limited energy recovery. Examples are wood waste, bagasse, used cooking oil, grain ethanol, dairy sludge, landfill gas and incinerator trash. They wouldn’t be economic if other parts of the system weren’t energy rich. If follows that if fossil fuels are expensive then biomass energy will be even more expensive. We won’t be making corn ethanol when farm tractor diesel or NG derived nitrogen fertiliser are expensive. The presumption seems to be we’ll power the tractors and make the fertiliser with ethanol then have a slightly reduced surplus. It will never happen. Adapting to expensive energy is not how humans have behaved. As we chopped down trees, dug up coal and drilled for oil we moved onto richer energy sources, not poorer forms of energy. I see no way that biomass can supply 30% of the energy needs of a large population that wants discretionary spending. That part of the proposal needs more careful net energy analysis assuming no fossil inputs. This sounds sensible to me, if we are going to be using DRET-EPRI estimates for current cost projections for CSP, wind, nuclear and other generation resources in Australia (as Peter Lang does in his extensive analysis of the EDM model), we should also be using their recommended cost reductions for scale-up and build-out as well: 35% reduction for wind generation (by 2030), 35% reduction for solar PV, and 30% for solar thermal with TES storage (pages 6-64, 6-56, 6-60). I see no reason to not also use Diesendorf’s more reasonable cost projection for open cycle gas turbines, since it is also derived from Peter Lang’s original source above: $801/kW sent out (page 7-14). Making these changes to Peter Lang’s spreadsheet is a fairly easy thing to do, and yields a 2030 LCOE for the EDM model: $229/MWh (which is about 1/3 less than the 2015 price calculated by Lang). I would highly encourage Peter Lang to be a little more detailed than I have done here, and follow-up on Diesendorf’s critique by providing a better (and more descriptive) accounting of the LCOE projections for the EDM model along the lines suggested in the lead article (and also recommended by the DRET-EPRI study). Given the preliminary stages of this research, it also seems reasonable to me that a full accounting for transmission, as Diesendorf describes, will have to wait for a more detailed modeling of load and transmission needs (removing “copperplate” assumptions). And to get there, a more accurate and detailed description of the EDM model will be needed (and appears to be forthcoming). The need for the transition to non carbon energy this century will be driven by depletion of economically recoverable fossil fuel reserves and climate change issues. Australia with per capita, annual CO2 emissions of 18T, has committed to 20% renewable energy by 2020 and 80% reduction in emissions by 2050. Since 2000 no country has committed more to renewable energy than Germany and their performance is a good measure of the likely success of Australia’s emission reduction policy. By 2011 Germany achieved 20% renewable energy electricity production by adding 25GW of solar and 25GW of wind, plus 3GW of biomass at a capital cost of $150B and accumulated subsidy payments of $100B. The annual cost of the subsidies, which are paid for 20 years from the year of installation, rose exponentially from $1B in 2000 to $20B in 2011 and are apportioned to all consumers making Germany’s electricity charges the second highest in Europe, after Denmark. However just under half the renewable energy or 9% was generated by just 4GW of hydro and 5GW of biomass due to their high capacity factors (CFs) of 50% and 70% respectively. Just over half or 11% was generated by 29GW of wind and 25GW of solar due to low CFs of just 20% and 10% respectively and because of intermittency problems are backed by gas. As a result Germany’s annual CO2 emissions from energy generation in 2010 rose to 10 tonnes per capita, unchanged from 2000. Based on this German experience, Australia’s commitment to the use of renewable energy such as wind and solar to replace fossil carbon energy and reduce emissions is unlikely to be successful. Alternatively starting in 2000, for $250B Germany could have constructed 50GW of nuclear generation which with a CF of 80% would produce 350TWh of non carbon electricity or 60% of their annual electricity requirements, reducing annual per capita emissions from 10T to 6T. Three countries Sweden, Switzerland and France have annual per capita CO2 emissions of 5T to 6T using mostly hydro and nuclear for electrical energy generation. The European Commission’s ExternE project shows that despite Chernobyl, nuclear in terms of energy generated is as safe as wind and solar and orders of magnitude safer than fossil fuels. One tonne of uranium fuel used in a light water reactor (LWR) produces as much electrical energy as 20,000 tonnes of coal and saves 40,000 of CO2 emissions. The nuclear waste from a LWR still contains most of its nuclear energy. Fast breeder or 4th Generation reactors are 100 times more efficient than LWRs and are able to use existing nuclear waste as fuel to generate power. Prof David MacKay has calculated that used in fast breeder reactors the UK’s 35,000 tonne nuclear waste stockpile could generate enough low-carbon energy to power the UK for 500 years. GE Hitachi has offered to build a fast reactor to dispose of the UK’s 200T plutonium stockpile. This proposal is being evaluated. If successful, three issues are solved in one process, nuclear waste disposal, energy supply and climate change mitigation, now this is a truly sustainable initiative. Making these changes to Peter Lang’s spreadsheet is a fairly easy thing to do, and yields a 2030 LCOE for the EDM model: $229/MWh (which is about 1/3 less than the 2015 price calculated by Lang). Let’s also say a national build-out comes with some measure of backing from the government, and greater financial security in the form of low interest loans or loan guarantees (or something of the like). Your discount rate of 10.1% seems a bit high given the large scale priorities that would be needed to mobilize a national program of widespread and far reaching energy investment and policy coordination. A University of Melbourne study on the “Renewable Energy Technology Cost Review” (March 2011) sets a more realistic 8.1% discount rate on renewable energy investments drawing on DRET-EPRI cost projections. Using your spread sheet, this results in a further 2030 LCOE price reduction for EDM model: $207/MWh. We use a discount rate of 8.1% to comply with the ATSE analysis, which assumes a 75-25 debt-equity split, and a real debt cost of 7.3% and a real, pre-tax equity cost of 17%. Given the sensitive nature of the discount rate, the same rate as ATSE analysis was used to enable a consistent basis, for comparison (page 8). I am with the author that GT’s with bio’s are a no brainer and “cost effective”. If you are going this route then just go combined cycle as it is even better from an efficiency POV and still cheaper than Nuclear. Then Mix in some 30% or so of Nukes. The Nukes are much cheaper than wind, and solar. when you consider that wind and solar need 100% back up from conventional. The all Nuke philosophy is great in theory but you have to get real. Especially when Austrailia is set to become a huge exporter of LNG..
Just burn natural gas in the CCGT plants. I know, I know I have heard about the methane etc that invalidates the Natural gas power plant idea…..but just go with the flow and campaign for 1 nuke….or the modular Nuke idea which I think is really a great idea with HOME GROWN natural gas..
That’s a current near-wellhead price. How long can that disparity continue? In reality we’ll keep burning coal for baseload but pay a smidgin of guilt money to ease our conscience. No way are biodiesel combined cycle turbines or piston generators competitive. If the fuel could be made for say $1/L wholesale for 35 MJ that is $29 /GJ. If that seems high the truck industry would leap at that price. In my opinion we should neither build more CCGT plants nor export more LNG (beyond current contracts) but leave plenty in the ground for later. Things like fertiliser, transport fuel and peaking power til well after mid century. Make electricity some other way, alas not 100% renewables. GeorgeS — Actually both wind and solar could be balanced using NPPs; no fossil fuel required. However, the economics tends to make it more efficient to use no wind at all. Interestingly, it might well pay to have some solar PV. Can this be the same Dr Diesendorf who posted to Fuel use for Gen III+ nuclear power? I don’t usually spend precious time reading or commenting on this site, because the vast majority of its postings are such devout pro-nuclear, anti-renewable energy raves. Just a point to note with respect to some of the statements concerning gas turbines and biomass. Yes, existing GTs can be configured to run on a range of hydrocarbon liquids and gasses. Biofuels are not currently utilised in aircraft except for a few trials and experiments. GTs do not run on rice husk or wheat stalks. There has been some experimentation on using them to burn solid fuels but this is far from proven technology. I understand the proposal is to use biodigestion to convert the biomass into methane. All possible, but it does not come for free. I have not done the numbers on the cost of supplying and and building this plant but it will be many times the cost of the gas turbine facility. As an example the cost of converting a GT from open cycle operation to combined cycle operation (involves just an boiler and steam turbine) is about 2.5 times the cost of the base GT plant. Dr. Diesendorf also indicates the posibility of using syngas in lieu of biodigestion. As an example of the cost of this technology we can look at the Zerogen proposal that was also based on generation of syngas from, in this case coal. With the higher energy density of coal this is significantly easier than using biomass as a feed stock. This 450MW plant was abandoned because of the capital cost. Around $5000 per kW. Then you need to grow, harvest and transport the biomass. To put this in perspective we can look at the Australian sugar industry. It produces around 30-35 M tonnes of cane per year. Now consider all the land, all the harvesters, the trucks and trains and all of the 4000 farmers used to collect and bring this material to central processing facilities. To collect biomass for power generation would require all of this infrastructure and cost. Noting also that the capacity of this industry to produce this quantity biomass is only possible in ideal tropical growing conditions along the queensland coast. So how much electricity could be produced from all this effort. In ideal conditions about 500 MW year round. Given this, how is it possible to believe that we can provide biomass power generation on the scale envisaged without impacting Australia’s food production. I believe that Mr Langs costing of this technology would have taken all of the above into account. From my perspective $5000 a kW seems a pretty reasonable number. I looked moderately carefully into various biofuel techniques to provide electricity. All founder upon the cost of centralization, i.e., collection. The only biofuel powered electricity (or natgas) producers are those where the cost of centralization is bourne by some other agency (with one possible exception to be mentioned). One example is burning forestry wastes; there are about a dozen forestry operations here in Washington State which burn the wastes to augment electricity production about 6–8 months each year (not required in the spring or in the summer). Another example is well done waste water treatment; an anaeorbic digester is used at the final stage to produce biogas; most of the biogas is burned locally to power the waste water facility but there can be some to be refined in natgas and introduced into the natgas piping network; I know of two such in the USA. The possible exception is small forestry operators in South Carolina. Most of the hardwoods are sold to furniture manufacters and lumber stores. However, there are limbs which are of too slight a diameter to be sold. The operator tradionally took these back into the woods to naturally decompose but now there is the opportunity to torrify the wood into a form of biocoal. The torrified product is denser and suitable for trucking to a tradtional steam generator re-equiiped with a boiler designed to use this product. Indeed, a 400 MWe [nameplate] generating station in South Carolina has been so coverted; I estimate that this one small generating station consumes all of the torrified product produced in South Carolina and possibly also some from neighboring states. In sum, biofuels for electricity producition are boutique solutions; beautiful when economic but unsuited for the mass market. I forgot to mention that the forestry operation generators are each quite small; the one I am positive about is 53 MWe [nameplate]. As you rightly point out the only thing that makes bioenergy projects work is that the cost of collection is borne externally by a supporting industry. In addition to being involved with the building of two 30MW sugar mill related facilities I have also been involved in a number of attempted projects unrelated to the sugar industry. All of the projects that were structured purely for power generation ended up with LCOE well in excess of $100/ MWhr. All were constrained to a biomass capture radius of about 60 km. Once you go higher than this the cost of fuel transport becomes uneconomic. Given that the transport fuel is diesel it is ridiculous to consider that this is a 100% renewable energy source. John Roles — Thank you for your more professional confirmation. To amply a bit about the South Carolina transport economics, it is only the combination of torrification, the special circumstances of small hardwood forestry operations, and South Carolina’s (anemic) renewals requirements that makes possible the (just barely profitable) centralization of the biofuel at the (recently converted) 400 MWe generating station. And I remind all that nearby in Georgia two Westinghouse AP1000 NPPs are currently under construction; that will be a rather more substantial contribution to the region’s electricity requirement. Like earlier commenters I am also very happy that Mark has responded to Peter’s critique. I would much rather see an engaged dialogue that continued talking at cross purposes. I hope Mark will also join the discussion in the comments here. I think his critique is premature, because he has misunderstood the intent of our work, which was clearly identified as exploratory. This research demonstrates that 100% renewable electricity in the NEM is technically feasible for the year 2010, meeting the NEM reliability standard with only six hours in the year where demand is unmet. This is a fairly unambiguous and unqualified statement. I understand there is further work in train. But the outcome of such future elaborations seems be pre-empted – the question of whether or not a 100% renewable grid is technically feasible has at this point been decided by the authors in the affirmative. And this is in fact how this work is being publicized in the media. Given that, it is in no way premature for Peter to critique the conclusion of technical feasibility – in fact it is timely and appropriate. It is also entirely proper for Peter to attempt a costing of the particular system that is advanced as an existence proof of a technically feasible 100% renewable solution. This system is detailed – why not cost it? While the EDM2011 authors intend to do their own costing, possibly on a revised and improved generation system, I’m sure Mark would agree there are valuable insights to be gained with a costing of the current proposal. Mr. Diesendorf should also publish the source code and the input data for the simulation. Without that, nobody can realistcly reproduce the experiment. Peter Lang is uninformed and confused?????????? Come on, give me a break!!! It is those pushing 100% renewables who are seriously uninformed and confused. Peter Lang is practical realist working with real life, real world models, whereas those with unrealistic green agenda work with dream models, basically trying to undermine the laws of physics. In my opinion Peter has grossly underestimated the cost of disaster.The best joke in green portfolio is large scale power generation from biomass. Peter is dead right in his critique of such strategy. No doubt, gas turbines can be made to work on stuff, however, gas turbines are very hungry. When natural gas is coming from pipeline it is not noticeable, but when you start collecting straw all over countryside for it’s energy content it becomes completely different problem. Important question is? How much biomass can be removed before soil productivity decline or is completely ruined.? John Morgan touches on an important point. The strongest part of Diesendorf’s response (and correspondingly the weakest part of Lang’s critique) was the latter’s focus on points (principally cost) that were explicitly identified as beyond their scope by Elliston et al. But Diesendorf cannot have it both ways. Given the limits of Elliston et al, Diesendorf should be assiduous in ensuring the paper is not used to ‘show’ that a 100% renewable Australia is practically possible, other than in the narrowest ‘technically feasible’ sense. If it turns out to be practically impossible, the technical feasibility is irrelevant. And on that score, I am in agreement with previous commenters that there are great gaping holes in the assumptions of what biomass can deliver. John, Thx for the input. Well you guys need to get that changed big time. If private enterprise wants to be selling NG (LNG) from Australia then the companies must make some concession(= chip us in ). Otherwise they can take your LNG business elsewhere. Campaign for 1 nuke, and CCNG as backup. It is a compromise from the purist approach but IMO it gives you the best $/Co2 reduction. Neglecting of course the methane etc that is off gassed from the NG production……but that will happen anyway. GS to my knowledge only Western Australia has a requirement that some gas, in this case 15%, must be sold domestically. However I wonder if that will apply to Shell’s proposed floating platform that will not pipe gas to shore but load LNG onto tanker ships. CO2 created in burning some gas to run the compressors for export LNG will also be partially exempt from carbon tax. Easily fixed; carbon tax the lot. There are pipeline routes that with extensions, flow reversal and new pumping stations could bring gas to south eastern Australia, In the 1970s Rex Connor wanted to bring WA NG to the SE but since then CSG has been found closer. Excuse the acronyms. I understand eastern and western Canada may be experiencing the same problem. That is pursue top export dollar rather than sell to poorer parts of your own country. The renewables connection is that if we conserved gas we might not have to burn bales of hay to make wind farms viable. There is a new IEA paper titled The Impact of Wind Power on European Natural Gas Markets. No doubt very relevant to this discussion. Kudos to Barry for publishing something that is contrary to what he believes. If I lived in Australia I would agree with Diesendorf when he says that “Renewables” could deliver all the power that Australia needs. However, his solution will guarantee far higher electricity costs to the consumer than my solution based on coal or nuclear power. Lang’s phrase ‘at the scale required’ could be applied unfairly to all the commercially available technologies in our 100% renewable electricity scenario. If we assume that the transition to 100% would occur over several decades, there would be no unsurmountable problem in scaling up the technologies, including gas turbines. But the problem is not the scaleability of the turbines – we know GTs can pop up like mushrooms after autumn rain. The scaleability problem is the gathering of biomass, stockpiling as required, conversion to fuel and storage of weeks or more of supply. This problem Mark has not addressed in his response, and it deserves respectful consideration. There’s not much more to say on this topic, other than to quote an adage from military circles: Amateurs talk strategy, professional talk logistics. Lang misunderstands and hence misrepresents our result that, in its baseline scenario, supply does not meet demand on six hours per year. He draws an incorrect conclusion from this result to claim that ‘renewable energy cannot realistically provide 100% of Australia’s electricity generation’. However, he overlooks the fact, clearly stated in the abstract, the main body and the conclusion of EDM (2011), that all our scenarios meet the same reliability criterion as the existing polluting energy system supplying the National Electricity Market (NEM), namely a maximum energy generation shortfall of 0.002%. The all renewable scenarios modelled in EDM do meet the NEM reliability standard. But only if you grant the capability of the biogas component. I’m not prepared to do this. Based on the difficulties with biogas technology and logistics at the scale required, as described by Peter, and elaborated in a number of comments above, I don’t find the modeled biogas contribution credible. That leaves a large hole in the winter generation mix. The period June 29 – July 6 would lose roughly half its generation. There would have been little power available outside of the short daylight hours, only the modest contribution from wind and hydro. The shortfall is severe. Because the case has not been made for biogas, and because a compelling case exists against it, Peter is right to focus on the reliability of the 100% renewable system. His conclusion that ‘renewable energy cannot realistically provide 100% of Australia’s electricity generation’ is supported by a sound argument. Lang’s belief that we must add 20% reserve plant margin is also based on misunderstanding and confusion. The generating capacity of our baseline renewable energy system is 84.9 gigawatts (GW) and the maximum demand on the NEM in the year we simulated, 2010, was 33.65 GW at 3 pm on 11 January. Of course, that 84.9 GW capacity is not realized. It is reduced by the capacity factors of the component technologies. And the annual average capacity factors hide the reality of near-zero instantaneous capacity factors for extended periods. So while there might appear to be a comfortable margin between the peak demand of 33 GW and capacity of 85 GW, that margin is razor thin during some parts of the year, such as the midwinter period of 2010 referred to above where it disappears completely. A 20% reserve margin certainly appears prudent. Its not enough to have generation (just) meet demand in 2010. How many other ways might 2010 have panned out? If we could restart 2010 again, might the weather have behaved differently? Perhaps a bit more cloud, a bit less wind, cooler nights? We know how 2010 actually ran. But is that sufficient justification for not maintaining a reserve margin? What of the next 12 months, from today forward? We don’t know how they will pan out. Should we go into them without planning for any reserve margin, in particular the midwinter reserve margin, where generation from the baseline system was completely maxed out in 2010? That seems to be what Mark is arguing. Or maybe some reserve margin will do. If so, how much? 5%? Surely not. 10%? Sounds dicey. No, Peter’s choice of a 20% reserve margin is a prudent, pragmatic engineering margin to carry in the system against unusual demand peaks or generation shortfalls. Peter’s stance on both the (non-)reliability of the baseline scenario and the need for a 20% reserve margin are well founded. A 100% renewable generation mix that gets through 2010 on a wing and a prayer and a fabulous biogas infrastructure does not fly. I’d like to echo another commenter here and ask for the source code. What is the dataset, the timeline, the resolution of the wind and solar data? What we need is real wind and solar output data from real systems, with minute to minute resolution at least, and at least 10 years of data. Then match that to at least 10 years of electricity demand and see how many gaps arise. Then try to optimize the solar and wind contribution. I thank Dr Diesnedorf for responding and for posting his comments here. I’d intended to hold off making any comments to avoid influencing the content or direction of the discussion . However, since the discussion seems to have waned, I’ll post a comment or two to hopefully encourage some more comments. 1. Dr. Diesendorf says it is too early to focus on the costs of the system he has analysed and written about. The cost should be the focus from the start. Cost of the systems proposed by renewable energy researchers and proponents should have been the focus of their research and papers for the past 20 years. So to say it is too early to consider costs reinforces what many have been complaining about – the misleading information renewable energy advocates have been presenting for at least the past two decades. 2. Gas turbines running on biofuels. The capital cost of the fuel collection, processing, storage and distribution system has to be included either in the cost of the fuel or in the capital cost of the system. I chose to include it in the capital cost of the system so I could make visible the total capital cost of the system. Dr. Diesendorf refers to only the capital cost of the actual gas turbine generating plant. He does not mention the cost of the fuel collection, processing, storage and distribution system. 3. Reliability: Peak demand in the NEM in winter 2009-10 was about 33 GW, and the installed capacity was 49 GW (mostly reliable fossil fuel plants). Some 33 GW of gas turbines running on natural gas and our existing 7.1 GW of hydro would probably not meet the AER’s reliability requirements. You don’t need an loss of load probability (LOLP) analysis to recognise that 24 GW of gas turbines running on biofuels, and the same capacity of hydro, CST, PV and Wind as assumed in EDM-2011 would not go close to providing a reliable electricity supply. the maximum demand on the NEM in the year we simulated, 2010, was 33.65 GW at 3 pm on 11 January. Our baseline renewable energy mix met this demand with several GW of gas turbines in reserve. This statement refers to summer peak demand. The statement is misleading. 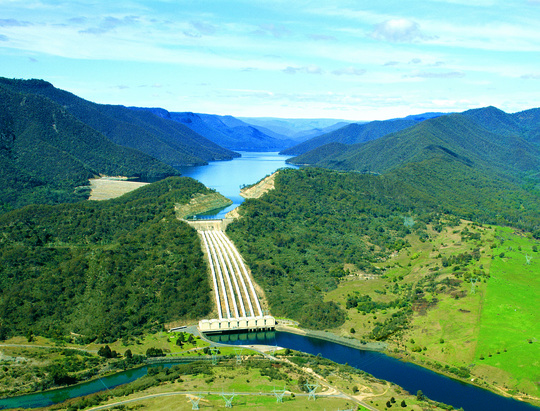 The issue is meeting the winter peak demand when the renewable energy output is not even sufficient to recharge the solar thermal storage let alone the pumped hydro. The simulation shows that the system cannot meet all the demand. That is the case even with their highly optimistic assumptions of: unjustifiably high capacity factors, perfect reliability for renewable energy generators in remote areas far from service centres, and copper-plate transmission system with presumably perfect reliability. Biofuel reliability — To state that using biofuels in more than boutique portions is ‘technically feasible’ implies an assumption that the supply of biofuel is reliable. So the growing areas must be subjected to various extreme event scenarios: drought or massive precipitation. Is the stock of biofuels adequately protected against such situations? Mark is saying pretty much what I said in my comments. I would just add the very high costs of CST in Lang’s analysis to the very high costs of biofuelled gas turbines. I am in favor of Japan and Australia trying to switch to 100% renewables. Better them than me. Their economies will collapse in the cold and the dark. Then everybody will see what is wrong with the 100% renewable idea. In Japan, they have lots of geothermal, until they cause a volcano to erupt. Nuclear is the only non-CO2 making electricity source that actually works in all weather everywhere. Math works if it is done correctly. The correct answer is much cheaper to calculate than to realize after spending billions of dollars constructing something and then finding out it doesn’t work. that Germans are paying 26.3 euro cents/kWh and Danes are paying 30.5 euro cents/kWh. I am paying 7.5 US cents per KWh. 1 Euro = 1.33385 US dollar. Germans are paying 35 US cents per KWh. Danes are paying 40.68 US cents per KWh. No thanks. In Australia electricity from conventional black coal emitting a tonne of CO2 per Mwh should go up 2.3c per kwh due to carbon tax starting July 1st. That’s the theory but in practice coal burners will get a partial carbon tax exemption phasing out after a few years. However they will probably want an even bigger price rise for any number of reasons such as hurt feelings. I think it is good that Germany is doing all these experiments for us. Speaking to some German visitors recently I think they will use a ready made excuse in the form of the Greek bailout if things don’t go well. Germany’s dependence on Russian gas should be alarming. Even if Germany restarts some nukes I’d bet many will refuse to grasp the significance. – But having if he had the number right, he really doesn’t realize that what he is doing is deliberately designing a system so that it fails 0.002% of the time, instead of trying to bring a guarantee that the system will *not* fail more 0.002% of the time. The difference between the two is absolutely huge. Instead of planning for the shortfall not to happen, allowing a limited risk of it happening anyway, he is planning in the reference scenario for it to happen at the very max of the allowed limit, this is not serious engineering. Of course, Dr Diesendorf is not an engineer, he has never had *in* *real* *life* to design a system so that it meets a requirement like that, endorsing the responsibility that the failure for the system to work as well a was planned may cost millions to his company, or simply put it belly up (and also in the case of an energy supplying system, may cost lifes). But I hope he will listen to engineers telling him that the requirement does not means what he believes. From an engineering point of view, it’s obvious the 0.002% requirement is really, really hard, it means planned maintenance periods added with unexpected malfunction within the remaining systems will still *not* be allowed to impact the availability of the whole system, because the probability of such an event to happen is already more than 0.002%, and 10 minutes leaves no time at all to fix anything. Usually the actual method you end up with to meet reliability requirements is at some stage to stop trying to be more precise in the calculation of failure probability and instead incorporate a redundancy quite above what should be needed, and still be left hoping some very unfortunate of chain of events won’t happen that will breaks it anyway. You never ever aim for the allowed failure rate as is done in that paper, you aim significant below it to have a least a chance that all the unknown in the actual implementation of the solution still leave you with an adequate likelihood of not actually ending above it. And frequently even having done that, you fail. be met for something like your scenario to be met and still more before a realistic plan could be drawn up. 1) biofuels collection network … you have to get the biomass from where it is generated to where it is needed. I don’t have your 2007 reference and would appreciate a summary of where the biomass is coming from. Soil scientists don’t see crop residues as waste but vital protectors and nourishers of the soil. Your paper estimates 28 TWh from biomass … what tonnage of biomass will be required for this? Do you envisage lots of small units or few large ones? This makes a huge decision to the collection network. 28 of 204 TWh sounds like a huge percentage to me. 2) Copper plate assumption … building new connection infrastructure isn’t a fast process … just getting rights of way takes years in large projects. 3) Materials. Based on Moree Solar Farm data, which states that it needs 7,200 B-Double truck loads of materials over 4 years delivered on site. Something like a 2.2GW CST will need about 345,600 B-Double truck loads of material delivered. What is the lifespan of these CST plants? By 2050, would we need to build them all twice? … and that doesn’t factor in the salt for the 15 hours of storage. and existing transmission infrastructure. This isn’t just a cost issue but a feasibility issue … can we build it. distribute 20×100 MW biofuel generators around the country and watch what happens in a big flood, for example. How many will get knocked out? Solid responses Peter Lang, and wise strategy (and courtesy) to sit back for a while. At the more fundamental level of Mark’s work, why bother? What is to be achieved by ruling out nuclear from the solution? It can only be more expensive and tricky. It is just a fact that opposing nuclear is no longer a box you need to tick to be a credible environmentalist. As ten or so people have already said, the bio fuel challenge needs to be given much more respect than the EDM work seems to have done to date. I share with Geoff Russell a significant discomfort in the area and resource requirements for the vast solar arrays. I am not automatically satisfied that the zero carbon electricity output justifies it when it could be done with the tiny land and resource inputs of nuclear. Biomass energy sources fail on all 3 criteria. This isn’t my idea but someone once suggested fossil fuels have not only a footprint area but a ‘volume’ if you regard accumulation time as depth. Thus a coal mine could have dimensions width X breadth X time e.g 10 km X 10 km X 200,000,000 years. With annual biomass the volume could be 100 km X 100 km X 1year. No contest, in this case coal is two million times ‘bigger’. I have a few questions for you regarding ‘gas turbines running on biofuels’. I don’t have access to your 2007 book, and nor do most of those following this thread, so I am not sure what your concept is. Firstly, let me provide some background to my questions. For a 30 megawatt power plant at a 70% capacity factor the land area would be around 240,000 hectares and involve nearly 500 average sized wheat farms. For 24 GW of power plants operating at an average of 13% capacity factor (assumed by EDM-2011), the land area would be around 35 million hectares and involve nearly 75,000 average sized wheat farms. Australia’s annual grain crop is about 20 million hectares http://www.cropscience.org.au/icsc2004/poster/0/981_walcottj.htm . The 20 million hectare figure includes Western Australia’s grain crops. Therefore, EDM’s assumptions for gas turbines running on biofuels sourced from grain crops would require twice Australia’s annual grain crop area – and that is in average years! I’d expect we should assume double or quadruple the 35 million hectares figure to get us through long droughts and seasons of failed crops. We can also add the cost of storage to provide reliable fuel supply through years of below average biofuel production. And we should add the cost of transport facilities used to move biomass from one location to another for seasons when the crops succeed in one region but fail in another. We’d need roads, trucks, railway lines and rolling stock, which must have sufficient capacity for the worst conditions but would be used rarely. The capital costs and the O&M costs must be included in the cost of the biofuel. The costs just keep on increasing the more we think about the concept of gas turbines running on biofuels. 1. Would the generators be located near the demand centres or near the source of the biomass fuel? a. Where would the biomass to biofuels processing plants be located; i.e. near the biomass source or near the generators? b. Where would the fuel storage be located, near the biomass source or near the generators? c.	How would the fuel be transported to the gas turbine generating plants? d.	How much overbuild of biofuel production and storage capacity would be required to ensure reliable supply for extended periods of drought and to cover for regions that have crop failures? e.	How would the biomass or biofuels would be transported from Western Australia to the eastern states’ electricity generators? How woud this be done? f.	What would be the delivered cost of fuel from a system that can reliably deliver biofuels to the gas turbines through long periods of drought and crop failures? a. What is the optimum sized generator unit you envisage? b. How will the biomass be collected and transported to the biofuel processing plant? What are the logistics and the costs? d.	How much overbuild of biomass and biofuel production and storage capacity would be required to ensure reliable supply throughout extended periods of drought and to cover for regions that have crop failures? e.	How would you propose to transport biomass between generating plants during periods when one region has crop failures and they need the biomass to be shipped in from other regions to keep the plant running? f.	How would the biomass or biofuels be transported from Western Australia to the eastern states’ electricity generators? g.	Or would you envisage transmitting electricity rather than transporting biofuels? If so, would you envisage the transmission lines have the capacity to transmit the maximum power that can be generated from all the generators in Western Australia at times when they have ample fuel but the Eastern states do not? h.	If you envisage transmission lines, how would the biofuel production and generating plants that are idle in the eastern states be paid for; i.e. where does their revenue come from? i. What would be the delivered cost of fuel from a system that can sustainably deliver biofuels to the gas turbines through long periods of drought and crop failures? I recognise that many assumptions and details in these questions could be easily dismissed. However, could you please look beyond that and explain your concept and importantly what would be the cost ($/GJ) of a 100% reliable supply of the biofuels delivered to the generating units (to meet their highly variable demand for fuel). I think Dr. Diesendorf is quite comfortable spreading half-truths and lies about nuclear power. Why should he get the privilege of writing on this blog ? Peter, my local library has a copy of Diesendorf’s book – I have actually read it in the research for my own book. You will probably find that your local library also has access to a copy. if we assume the capital, fixed O&M and Variable O&M for gas turbines is the same when running on biofuels instead of natural gas, and they will be located close to the demand centres as they are now, then what would be the fuel cost to deliver a reliable supply of biofuel to 24 GW of gas turbines running at an average of 13% capacity factor, with nearly all that generation over a few short periods in winter? (By reliable, I mean an uninterrupted supply throughout all seasons and the worst and longest period of drought). For the sake of all readers, it would be great if you could provide a comment on this. It might even encourage Dr Diesendorf to respond to correct any misunderstandings of his concept. I look forward to seeing the details of exactly how that will work. Oh, and the usual half-truths and cherry-picking regarding nuclear are also present in the Diesendorf Climate Spectator piece. Yes. I’d say Diesendorf’s avoidance of addressing the comments raised here and then to repeat his assertions elsewhere is unprofessional, or worse. Sorry Peter. It was over 3 years ago that I read Diesendorf’s book. I can’t remember what he specifically said about biomass other than he considered it a viable option. But he also said that large-scale wind power is not intermittent. If you are looking for it in the library the title is “Greenhouse solutions with sustainable energy” published in 2007. One other possible issue with Elliston et al’s scaling up of wind farm performance based on data from ‘the current NEM locations’. Presumably these already-built sites represent the best available locations. Doesn’t it therefore follow that, in scaling up the current capacity by a factor of fifteen, those newer turbines will have to be in less optimal locations, and their performance will be correspondingly less? (Note I’m talking about mesoscale features with microclimatic effects like hilltops, not just weather system-scale issues). Is this a significant capacity factor risk on the downside? The onus is now firmly on Elliston et al to either demonstrate why their 15-fold extrapolation from current NEM sites (effectively ‘picked cherries’) is valid, or come up with an alternative approach. It seems that for wind, it may be quite literally all downhill from here. On today’s ABC Landline (no transcript yet) there were some cryptic messages about biomass burning. Two sugar mills with bagasse burning cogen had to buy expensive wood waste last year to maintain output. Sugar cane throughput was hampered by weather problems. I believe the REC was ~$40/Mwh last year still not profitable. Then they cut to a scene of Greg Combet apparently muttering threads to reduce subsidies. Contrary to popular belief that wind and solar are the biggest new renewables I find on Wiki that in 2009 over 70% of new renewable power came from burning wood and bagasse. The show illustrated some cane nutrient recycled as ‘mill mud’ spread by diesel tractors. What happens when there is no diesel? From about now small and large scale renewables are to be split into separate subsidy schemes. Somehow I don’t think there will be any new 500 MW hydros in Australia so these subsidies won’t break the bank. That’s unless the Greens get their German style Federal feed-in tariff. Shorter version; biomass burning is flakey and unreliable even with subsidies. INFINITE amount of backup? This is taking hyperbole to new heights. Does he really think readers will buy that line? I’ve read some of his work, and absorbed the essence of Peter Lang’s criticisms. My assessment so far is that Dr. D has an agenda, and simply brushes over well argued criticism. It’s clear he hasn’t examined the direct implications of sources such as biomass, for example the area of productive land required, irrigation of that land etc. His calculations look increasingly like “back of the envelope”. Thank you for supportive comment. I am not sure if you read the comments on this thread. There are some excellent comments here and on the thread to which Mark Diesendorf is responding. I also saw this a day or two ago. I have in the past, dismissed large-scale “renewable” electricity generation almost out-of-hand. There are obvious problems with each source, and while some of those problems can be addressed and to some extent minimised, few can be eliminated entirely. In each case, addressing the problem involves additional cost, or complexity, or both. For example, biomass production and solar have a seasonal component, as does does electricity consumption, but the seasonality is in opposition; most biomass growth in the summer, peak electricity demand in winter. Suggesting that surplus plant matter from agriculture and trimmings and fallen trees from forests can supply anything approaching a baseload component is fantasy, there just isn’t enough of it, except in a few locations. However, it’s often touted as a rebuttal to the criticism that cutting down trees or using productive agricultural land to provide biomass for electricity or heating is a ridiculous idea, bordering on the suicidal. There’s another, some would say overriding objection to biomass, and that’s particulate and other emissions, which are never mentioned in the grand schemes for redesigning power generation, an “inconvenient truth” indeed. The burning of wood is already causing serious air-quality problems in large areas of the world, and the proposal is to add to it? We see one UN organisation trying to reduce wood and other biomass burning to improve air quality and preserve forests, and another promoting it on a massive scale! Proposing “alternative” dilute sources of energy while we have concentrated energy under our feet is akin to borrowing money at high interest rates while having unlimited cash stuffed under the floorboards. biomass production and solar have a seasonal component, as does electricity consumption, but the seasonality is in opposition; most biomass growth in the summer, peak electricity demand in winter. True. And its even worse when you consider the effect of long term droughts. How does a biomass plant gets its feedstock when the surrounding region is suffering a long term drought. How does a plant gets its feedstock when the crops in the supply area are ruined by floods, storms, pests and disease, so they are not worth stripping that year? In poor years, the plant will need to get feed from elsewhere. Who pays for the infrastructure to allow the feed stock to be provided for the 1 in 10 or 1 in 50 year bad season? When pays the farmers to keep maintain their capacity to supply so they can be ready to provide supply in bad years but who are not required to provide feed in the good years? What is the cost of all this? Good point about the particulates and other pollution from biomass burners. Your comment makes good sense to me. I wonder why the renewable energy advocates do not see it the same way as we (most BNC contributors) do. I really wonder why academics like Mark Diesendorf and Matthew Warren don’t see it as we do.